Need More Business Progress? It's Not Too Late: How to Make Stuff Happen 2016! January has already been an awesomely busy, productive start to 2016 for me! I've switched my focus to profit and my bank account made a big leap forward. Project ideas are finally clicking and moving forward. 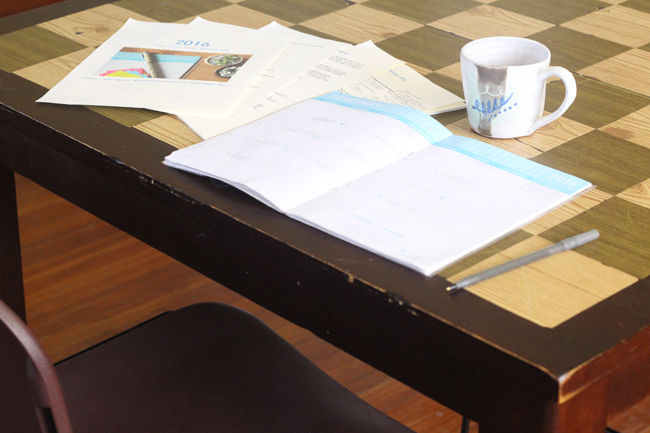 2015 feels like a year of change, organization, planning and research. This year that work is coming together and moving to the next stage. One of the big thing's that's finally moved to production stage is a huge amount of eBooks. I've been revised loads of whole living related ones for clients and additional ones on business and much more for myself and I'm loving the hell out of it! 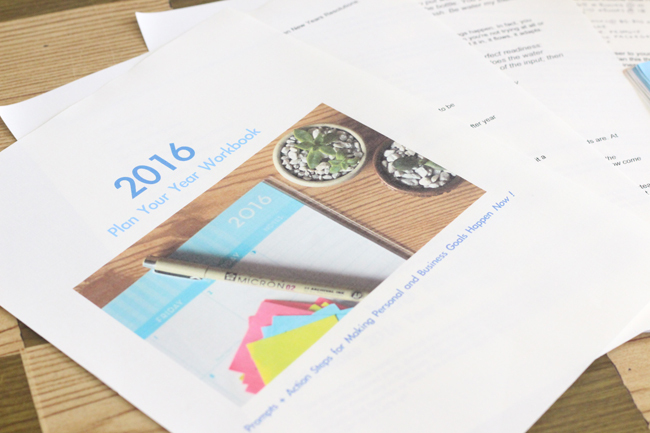 I thought this would be a good time to talk a little more about the 2016 Workbook I launched this month. 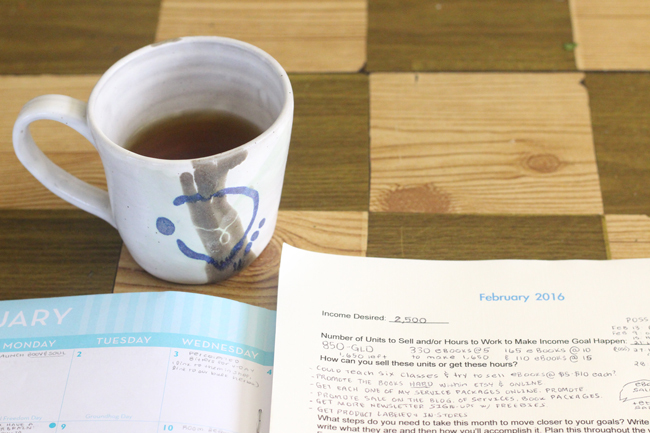 I love sitting with my workbook & planner in the morning, scheduling, then making stuff happen! This eBook is 55 pages long and I've recently added a few more features that I feel will make it even more helpful for planning the year in full! I'm currently working on filling mine out entirely and it's helping me define EXACTLY what I need to do to hit my goals with money, business and more in 2016. I designed this Workbook to really dig deep to help you flesh out your dreams, goals, and business, then REALLY schedule the necessary ACTION steps required to make it happen! It's a self-started detailed coaching session, and I'm excited to follow-up on the people who've bought it to see where it takes them this year. I'm happy to see positive reviews already! This eBook is still on sale for $5.00 until the end of January. 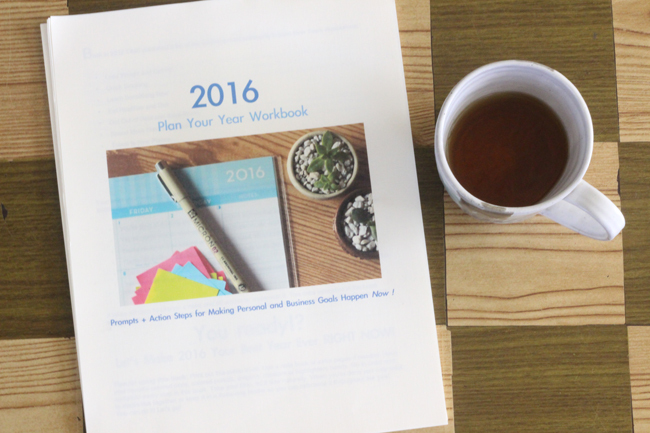 I hope you'll check it out and let me know how it helps you accomplish your dreams in 2016! It's never too late. Let's make those resolutions and long-set goals happen! /Comments Off for today, but e-mail me if you have any questions.